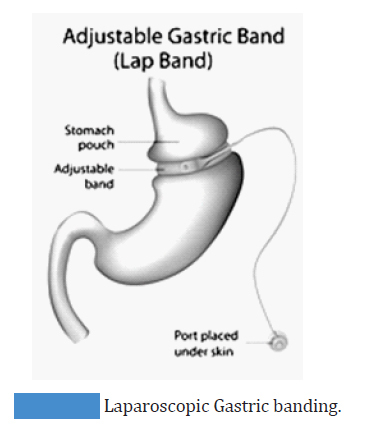 In this an adjustable band is placed around the stomach so that stomach size at the area of food entry is reduced. Patient can adjust the size of stomach and quantity of food. Effects are moderate with some undesirable effects and hence not preferred (Figure 3).